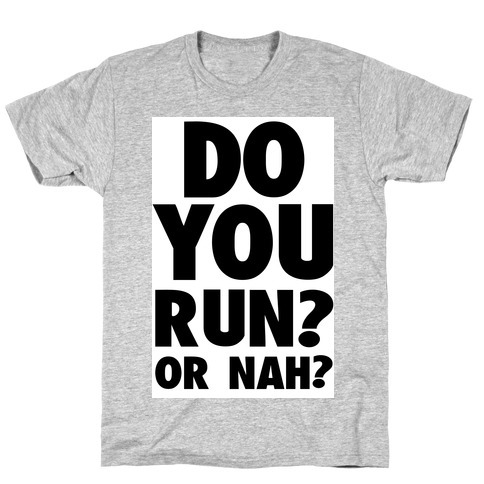 Browse our collection of 5 Ratchet T-Shirts and more. Designed and printed in the USA. 100% Satisfaction Guaranteed. About this Design Oh the lovely kingdom of Gondor. Get swole and train to fight in the war of five kings with this design featuring an illustration of the white tree of Gondor and a pair of hand weights along with the phrase "Lifting Hard From Here to Gaindor." Get your gains on in any gym in middle earth with this nerdy fitness workout gear. Oh the lovely kingdom of Gondor. 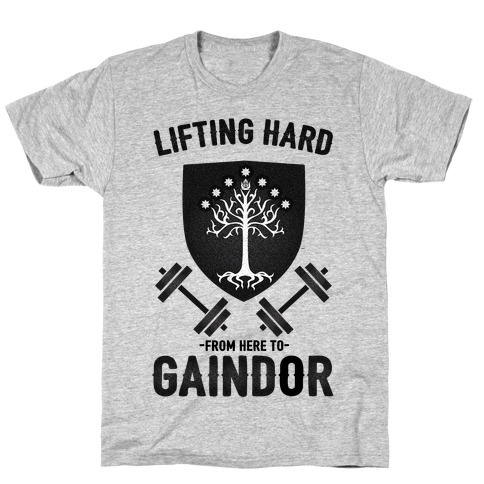 Get swole and train to fight in the war of five kings with this design featuring an illustration of the white tree of Gondor and a pair of hand weights along with the phrase "Lifting Hard From Here to Gaindor." Get your gains on in any gym in middle earth with this nerdy fitness workout gear. About this Design I can't workout because the Negaverse will steal my energy. Sorry, not today. This Sailor Scout is going to stay home and play the new Sailor V video game, because you just cannot trust that Queen Beryl. She's got Negascum hiding everywhere and I just can't risk it so this magical girl is gonna be lazy instead. 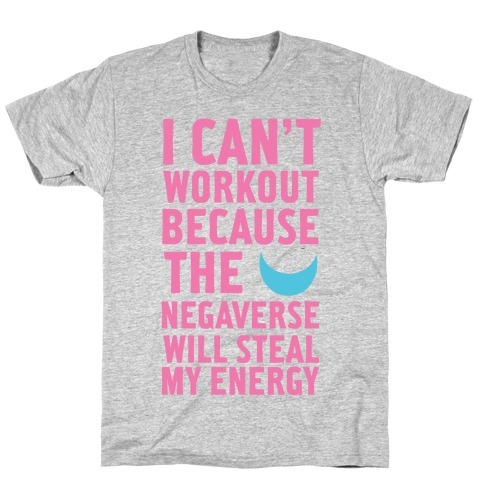 I can't workout because the Negaverse will steal my energy. Sorry, not today. This Sailor Scout is going to stay home and play the new Sailor V video game, because you just cannot trust that Queen Beryl. She's got Negascum hiding everywhere and I just can't risk it so this magical girl is gonna be lazy instead. About this Design Do You Workout? Or Nah? I'm interested in people who workout.. so If you want me to be your bae. You better workout! 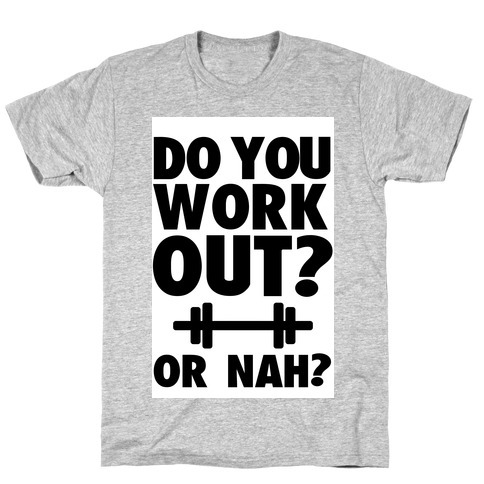 Do You Workout? Or Nah? I'm interested in people who workout.. so If you want me to be your bae. You better workout! About this Design Turn on some oldies and start shaking it! This humorous design features an illustration of a fitness guru and the phrase "Some men just want to watch the world burn (calories). Turn on some oldies and start shaking it! 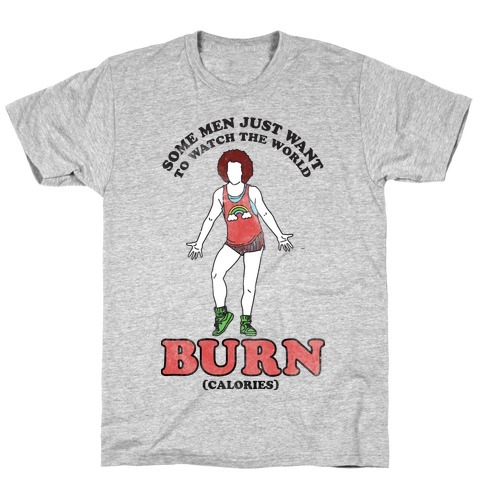 This humorous design features an illustration of a fitness guru and the phrase "Some men just want to watch the world burn (calories).